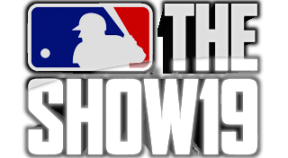 Earn all of The Show™ 19 Trophies. Finish a game without skipping a presentation. Throw a no hitter or perfect game in a 9 inning game. 3 strikeouts, 9 pitches total in 1 inning. In Play Now, Retro Mode, or Franchise Mode, record 3 outs on 3 pitches in 1 inning by 1 pitcher. In Diamond Dynasty, reach the Championship Series Division in Ranked Seasons. Hit a home run from both sides as a switch hitter. In Road to the Show successfully win a Boss Battle. In Road to the Show, reach a score of 40 in the pitch memory mini-game. Have your first encounter with Heidi Watney. Hit the ball over 115+ mph. Hit a home run with Ohtani on All-Star or above difficulty. Win the Home Run Derby® with Bryce Harper. In Franchise mode, extend a player contract during the season. In Road to the Show, reach 10 reps in the bench press mini-game. In Road to the Show, complete the new player creation. In Road to the Show, fail a challenge. In Diamond Dynasty, equip any unlocked audio. In Diamond Dynasty, complete the onboarding tutorial. Record a walk in your first at-bat of the game. In Road to the Show, create a player who was born "At Sea". Equip an unlockable no doubt home run animation.